Our interview this morning is with Milana Rabkin, co-founder of Stem, a new startup which is developing a financial application which helps musicians and other content creators automate payments to members of their creative team. Stem was co-founded by Rabkin, along with Tim Luckow and Jovin Cronin-Wilesmith. The company recently raised $8M in a funding from Evolution Media, Aspect Ventures, Upfront Ventures, as well as a long list of angels. 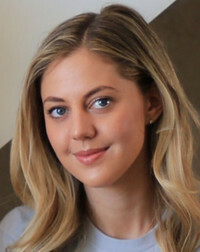 Milana Rabkin: Stem is a financial application that aims to make it really simple for creative people to share earnings on the content they have posted and sell online. Milana Rabkin: As a platform, we work on a consensus model. When someone is part of a creative group, any individual can take the initiative to upload content for distribution. Currently, that's music and online video. They can use Stem as a platform to distribute that content. In that upload, in addition to providing metadata and the platforms they'd like to have that content distributed and monetized on, we ask them to tell us who owns how much of the content, so that each person can be paid a percentage of the revenue. We have them add their name, email address, and input the percent amount. We then subsequently email each individual, if they don't already have Stem, for them to accept their position and confirm their share. Once we have consensus for 100 percent of the people, we distribute that content. As revenue comes back from the platforms and services they've monetized that content on, we automate the disbursement of payments to everyone at the same time. Milana Rabkin: There are two very different stories. My version, was very serendipitous. I was a digital media agent at the United Talent Agency for five years, prior to founding Stem. That was around 2010, when there was only a handful of YouTube creators who had over a million subscribers, and the first year the iPad came out. At the time, the primary platforms having an impact on Hollywood were Facebook and Twitter. The executives and senior management at the agency gave me the mandate to get our clients onto all of these new platforms. Technology was changing the business and our jobs as agents and managers, and we needed to figure out how to leverage tools to create more opportunities. I spent a lot of time with companies like Kickstarter, Twitter, SoundCloud, Spotify, and Youtube to understand what these platforms were giving to creators. We were connecting the agency's clients, including really established TV producers, with these new platforms. An example was Rob Thomas, the Producer of Veronica Mars, where we helped him partner with Kickstarter to help fund the Veronica Mars movie. That was our big marquee project, but we also worked with other clients across verticals. We spent a lot of time developing talent coming out of YouTube, and helped to grow that business. The one thing that I consistently had to deal with, for my clients, was chasing money. It didn't matter if they were really established, or just an emerging artist. The one thing that hadn't been created yet was a financial application to keep track of finances. That was a big part of it, as more of those creators were now independent. Accounting and administration fell on an individual, who didn't have the resources, the accounting division a studio might have. As a consumer who uses applications like Venmo or PayPal, I was surprised there was not an app to solve that issue. We saw an opportunity to create a tool that could help with sharing earnings from content on YouTube. Simultaneously, my co-founder, Tim, had similar realizations at the Berklee College of Music. He had started a music label, and was signing up artists with our other co-founder, Jovin. They wanted to offer a really favorable deal to artists, which meant giving them access to their data. He ran into issues with distributors, because there was no way to give access to that information. So, he decided to build one. I was on my journey, and he was on his, and we both started talking with Spotify and SoundCloud separately about our ideas. They both were telling me, do yo know Luckow, and they were telling him, do you know this girl Milana, and we decided to meet up in New York. We realized we wanted to build the same thing, and we completed each other as partners, me from the business end, and him from the product and artist end. So we partnered together to tackle this space together. So where is the product now? Milana Rabkin: We're in invite-only beta right now. We're really dedicated to quality at the moment, and bringing on different artists and users with specific needs, so we can build the product to scale for them, and with them. Talk about this funding and what's next for you? Milana Rabkin: I think we had no idea how difficult it would be to build a product, and how much work it was to clean up metadata, and create an efficient framework, tools, and technology to get us to today. I think we underestimated the big challenge it would be. We had created internal tools for ourselves, to be able to display and visualize data in a clean and timely manner, but that's different from scaling products to handle a lot more volume. We had to account for bigger artists, for all the types of contracts that exist. It's important to get that right, because we want to be the trustworthy solution that automates the revenue a counting and administration after your content is distributed. We're also building out more tools that make this more efficient for our managers and label partners. Our mission is all around providing the best experience for artists and people who create the content. Ever decision we make in building this comes from the point of view of if we're best serving the people who make this content, and how we can enable the industry to serve them better. What's the biggest lesson you've learned so far in starting up a company? Milana Rabkin: There are so many. Honestly, there are so many. However, I think the biggest lesson so far is that sometimes, the best decisions happen when you understand the numbers you are looking at, but you still trust your gut to react to that. I come from the agency business, where we're all about making deals, and the metrics that matter are revenue. However, in starting a company, there are so many other qualitative metrics that matter. In particular, the entertainment industry is not as metrics focused as a startup. If you're building lean startup, with a philsophy around KPIs, you need to figure out how to measure success, and track things the right way to scale properly. One of the most intersting things I've learned from entrepreneurs and our investors, is how to understand those metrics, so that the ones you are paying attention to drive the most impact on the business at the end of the day. That said, so much of what you do from there really should be based on your gut. There's a lot of decisions we made just based on numbers initially, but the ones we made from going off the gut while still paying attention to those numbers were more of the right decisions, versus those decisions we made taking too long to digest and follow the numbers, and ignoring your gut. You've got to get that balance right. Pay attention to both, but then follow your gut.